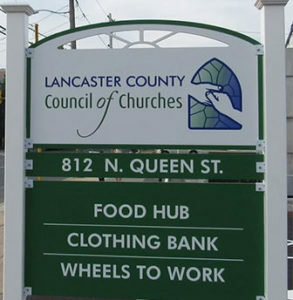 Join other Episcopalians from around Lancaster County for a work day at the Council of Churches Community Food and Resource Distribution Hub. This event, organized by ALERT (All Lancaster Episcopal Response Team), is a great way for people of all ages (even entire families) to support the important work of the Lancaster County Council of Churches. Sample jobs include bagging food, general painting, cart repairs, seasonal clothing organization, carpentry projects and landscaping. If you can, please bring paint brushes, caulking gun, roller frames, hand tools, clothes that will get dirty and bring gloves if you have them. 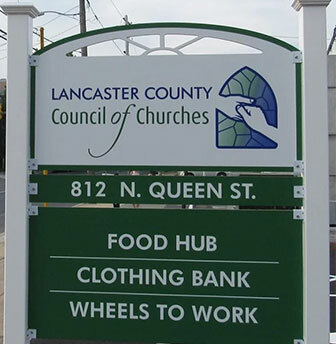 The Distribution Hub serves all of Lancaster County! In addition to the food hub, with its massive, commercial refrigerator and freezer, the building also houses a kitchen for cooking and nutrition classes, an expanded clothing bank, a client lobby, a room for the PA Workwear program, offices and a garage with spaces for nine vehicles for the Wheels to Work program.